Our commonwealth needs to make further investments and improve policies for the children and families served in the early care and education system. Read below for updates and information about Pennsylvania-focused policy and advocacy. $15 million in federal funds to provide subsidized child care for 970 additional infants/toddlers in STAR 3 and 4 programs. $10 million in federal funds to provide a 28 percent increase to tiered reimbursement rates for STAR 2, 3 and 4 providers for infant/toddler care. $2 million in federal funds to support an “Early Childhood Career Pathways Initiative” for education, training and professional supports for an apprenticeship, or work-based learning model for professionals serving infants/toddlers in early care and education programs. $74 million in federal funds to provide a rate increase for subsidized providers for an increase in the minimum wage to $12/hour. Today only one-third of subsidized children are accessing high-quality STAR 3 and 4 care, 4,300 children are on the subsidy waiting list, with families waiting 88 days to access subsidies they need to work, 50 percent of child care staff are receiving public assistance and child care subsidy reimbursements do not cover the cost of quality care. PennAEYC, along with nine partner advocacy organizations, launched a new advocacy campaign last week – Start Strong PA - to turn those numbers around and increase access to high-quality child care for families so their infants and toddlers can grow, learn and succeed. We are pleased to see the federal spending plan includes a waiting list initiative to serve more infants/toddlers in high-quality care and an increase in tiered reimbursement that will provide further program stability and consistency in teacher: child relationships. These are proposals for which we and partners advocated and align with our goals. We also believe the “career pathways” initiative will help to attract and retain talented early care and education teachers, another hallmark of the campaign. PennAEYC looks forward to learning more about Gov. Wolf’s minimum wage proposal's impact on the professionals in our field and the programs in which they work. While we appreciate the allocation of these critical federal dollars and again thank our federal delegation for strong, bipartisan support for high-quality child care, we are concerned with the lack of new state investments in this area. This expansion would serve 5,500 additional young children. Today the commonwealth ranks 18th of the 30 states investing in high-quality, publicly-funded pre-k and with this investment 100,000 children still lack access. As a leading partner in the Pre-K for PA campaign, PennAEYC is advocating that lawmakers fully-fund Gov. Wolf’s proposal. In addition, the budget proposal includes a $5 million investment in evidence-based home visiting programs to expand home visiting for 800 eligible families. For more information on home visiting advocacy efforts go to www.childhoodbeginsathome.org There is a $15 million state funding increase proposed in the Department of Education budget and a $9.75 million increase in the Department of Human Services (DHS) budget for Early Intervention to continue to support the cost of children receiving services. The state funding increase for DHS Early Intervention includes $5 million, coupled with $1.8 million in federal funds, to allow for a 3 percent rate increase. PennAEYC commends Gov. Wolf for his continued commitment to early care and education programs in the commonwealth and encourages a state investment be made in high-quality child care so we can provide children with the educational foundation they all deserve. We will advocate for these investments as the budget process continues. Please stay tuned for what you can do join us! The Pennsylvania General Assembly kicked off the 2019-20 Legislative Session in January. PennAEYC staff are monitoring legislation that is being introduced for any new developments in early care and education. See our position statements for legislation we are monitoring. 77% support and 55% strongly support increased funding for high-quality child care programs. 77% believe high-quality child care is very expensive and 82% believe the government needs to do more to make programs affordable for families. Early Learning PA (ELPA) is a statewide, non-partisan broad-based coalition that advocates access to voluntary, high-quality early learning opportunities for all Pennsylvania children. ELPA’s public policy agenda focuses on four key components of early learning opportunities: pre-kindergarten, child care, home visitation and early intervention. 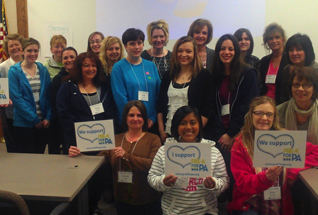 The ELPA coalition supports targeted campaigns dedicated to advancing its early learning agenda. Early Learning PA’s mission is to secure, by 2020, adequate resources to ensure all Pennsylvania’s children and families have access to voluntary, high-quality early learning opportunities that capitalize on a child’s most rapid period of brain development – birth to age 5. 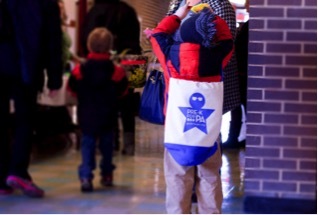 For additional information on the campaign, visit www.earlylearningpa.org and follow on twitter @ELPAtweets. Start Strong PA Through a statewide collaboration of partners, Start Strong PA aims to support all three by advocating for increased access to and affordability of high-quality child care programs, beginning with infants and toddlers. 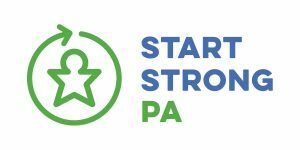 For additional information on the campaign, visit https://startstrongpa.org and follow on Facebook and twitter @StartStrongPA. The Pre-K for PA Campaign has a vision that every 3 and 4-year old in Pennsylvania will have access to high-quality pre-k.
For more on the Pre-K for PA campaign, visit www.prekforpa.org, follow on Facebook at facebook/prekforpa and twitter @PreK4PA.